I was given this houseplant yesterday and I'd like to know what it is, to make sure it's not harmful to my cats. It has hebe like flowers. If anyone knows, that would be great. I believe that it is a coleus. 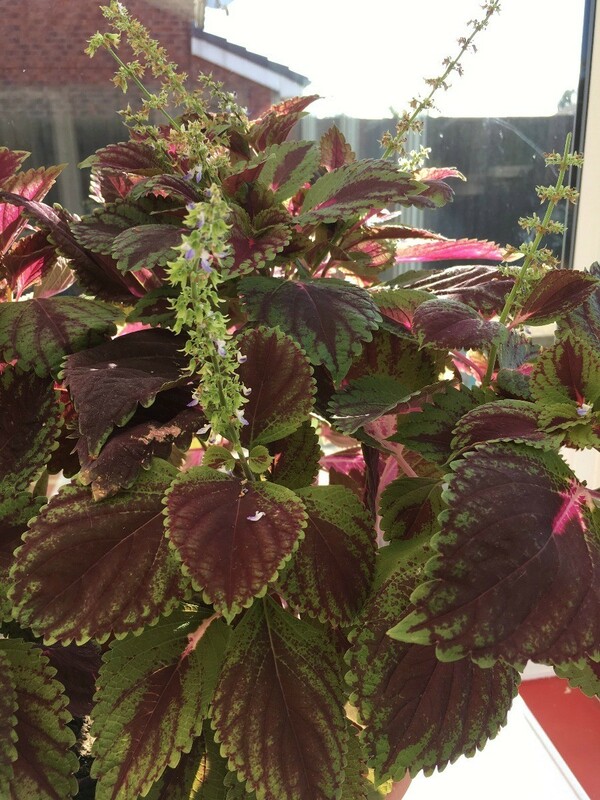 That being said, yes, coleus is toxic to dogs, cats, and horses. According to the ASPCA website the essential oils in the plant can cause, vomiting, diarrhea, depression, anorexia, and occasionally bloody diarrhea. Yes, that is a coleus. I love them, they come in so many differrent color combinations. Usually the flowers are just picked off as they are not significant, the beautiful leaves are the main attraction. Many people can snip off a stem ( or several )and put it in water to root, pot it and have a nice house plant over the winter. I don't seem to have the knack. ;-( I may try to keep mine in the garage this winter and put it outside again next summer. 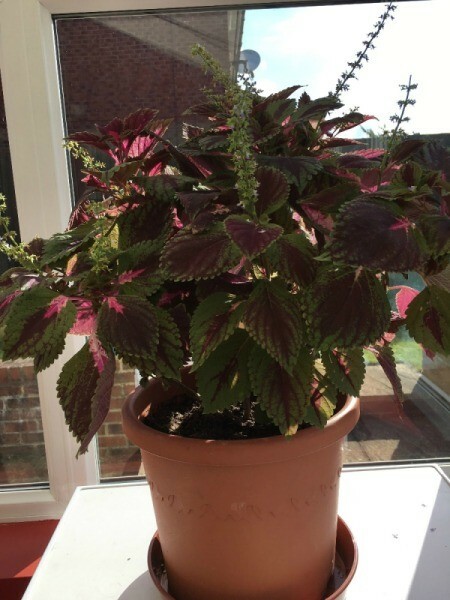 Coleus, they make beautiful flower beds also. My mom use to plant them in the summer and they were just gorgeous. Just make sure to pinch off the flowers to keep them growing and spreading. I would like to know as well because I have the same plant.